Smith lost his leg while riding his motorcycle through the busy streets of Vododara, India in 2013. Early one morning on his way to the train station, where he runs a small business selling water to the many passengers, he was hit by a car and seriously injured his right leg. He was rushed to the hospital where the doctors were forced to amputate his leg in order to save his life. Smith is 33 years old, is married and looking forward to staring a family. He chose the LIMBS leg as his first prosthetic leg following the accident because of its affordability and functionality. 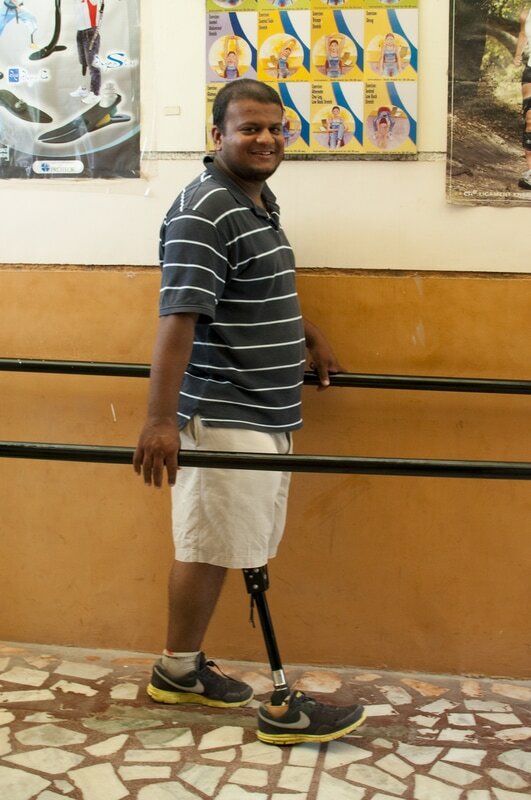 He is confident that his LIMBS leg will allow him to return to his business and continue to support his family.